Paris – Observatories in Britain, France and the United States, a pharaonic temple in Egypt, a 3,000-year-old pillar in China and a 1920s tower in Berlin have been inscribed on a UN-backed heritage list for astronomy. The Portal to the Heritage of Astronomy (http://www2.astronomicalheritage.net/) aims to give astronomical sites the same place in public awareness as Unesco’s World Heritage List does for places of historical importance. The website was launched on the sidelines of an International Astrononomical Union (IAU) meeting in Beijing on Friday, the IAU said in a press release. It is being backed by the UN Educational, Scientific and Cultural Organisation (Unesco). The portal has a preliminary listing of around three dozen sites, ranging from prehistoric caves to 20th-century observatories, but should expand swiftly in the coming months, the IAU said. 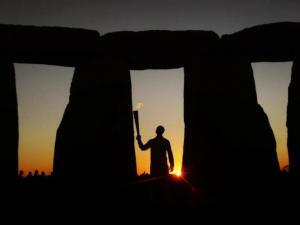 Among the first entries are Stonehenge, which is aligned along the axis of the midwinter sunset and midsummer sunrise, and the Dengfeng Observatory in Henan, China, where Tang Dynasty astronomers used a pillar to measure the Sun’s shadow and thus calculate the length of the year. There are also the Royal Observatory in Greenwich, the Meudon Observatory in France, the Mount Wilson Observatory in California and the 1920s “Einstein Tower” in Potsdam, all sites where important contributions were made in the era of modern science. Eventually, the portal will not only feature sites and monuments, but also other types of astronomical heritage such as portable instruments and intangible cultural practices, as well as “dark-sky” locations, meaning places where the night sky can be viewed without pollution from man-made light. Stonehenge Guided Tours. The Original and still the best!